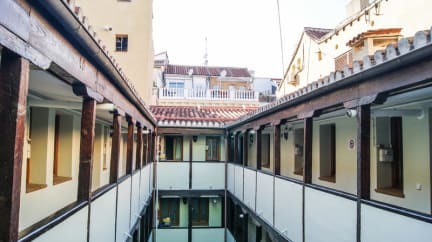 Mad4You Hostel is just few minutes away from Tribunal and Noviciado Metro Station and features a shared kitchen, a bar and a laundry service. Free Wi-Fi is available in the common areas and in the dormitories. Every dormitory either has its own bathroom or access to a shared bathroom with a shower. Bed linens are also provided. All the dormitories have private lockers that can be used with your room key at no extra cost. The hostel provides discounted tours and a 24-hour front desk. All types of credit cards are accepted. Breakfast Included from 8:00 to 10:30.